Sony has promised that all of its 2011 handsets would be updated to Android 4.0. 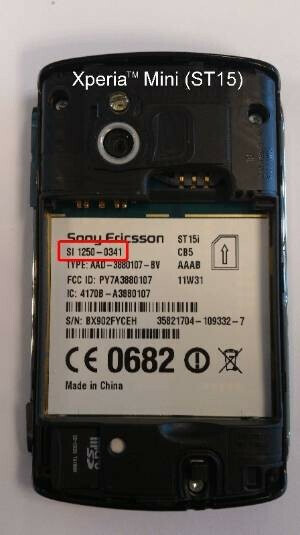 For examole, early last month the Sony Ericsson Xperia mini pro was updated to Ice Cream Sandwich. With that in mind, the next stop on the Ice Cream Sandwich tour is the Sony Ericsson Xperia mini. This is not your easy and intuitive OTA update. First, to see if your device is ready to go through the process, you look for the 8 digit Sales Item number (SI) number under the battery. See if it matches with the list of SI numbers from Sony's website. You can do that by clicking on the sourcelink. If the SI from your phone does appear on the list, you can use PC Companion or Bridge for Mac to connect with your PC and load up the update. If you don't remember too much about the Sony Ericsson Xperia mini, it had a 3 inch screen with resolution of 320 x 480 and pixel resolution of 192ppi. A single-core 1GHz processor is under the hood while 512MB of RAM is on board. A 32GB capacity microSD cardis available and the rear-facing 5MP camera has AF and LED flash. Video can be captured in 720p. As such, Sony says it is the smallest device in the world can that record HD video. 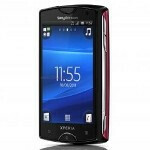 Those who have installed Android 4.0 on their Sony Ericsson Xperia mini say it is like having a whole new phone. If you've installed the update, let us know what you think by commenting in the box below. I own Xperia mini and I've updated my model to ICS before Sony's flagship Xperia S!! They don't give a damn for flagship customers they just follow FIRST COME FIRST SERVE basis & it is HEARTWARMING :-) Other OEMs MOTO SAMMY HTC could learn from them.. Regarding ICS it is stable and works well. PLEASED. Can someone do a video walkthrough of this ?